Are these Crown Lynn dogs from 1947 and later? I am wondering if the painted dogs from October 1947 are Crown Lynn? Also the later made dogs? They look a bit like the 172 dogs but have an open base. Or are they english? Re: Are these Crown Lynn dogs from 1947 and later? I just found this posting from Manos's 7.11.47 dated 154 swan. Now I am wondering if my October 1947 dated dogs are indeed made by Crown Lynn. 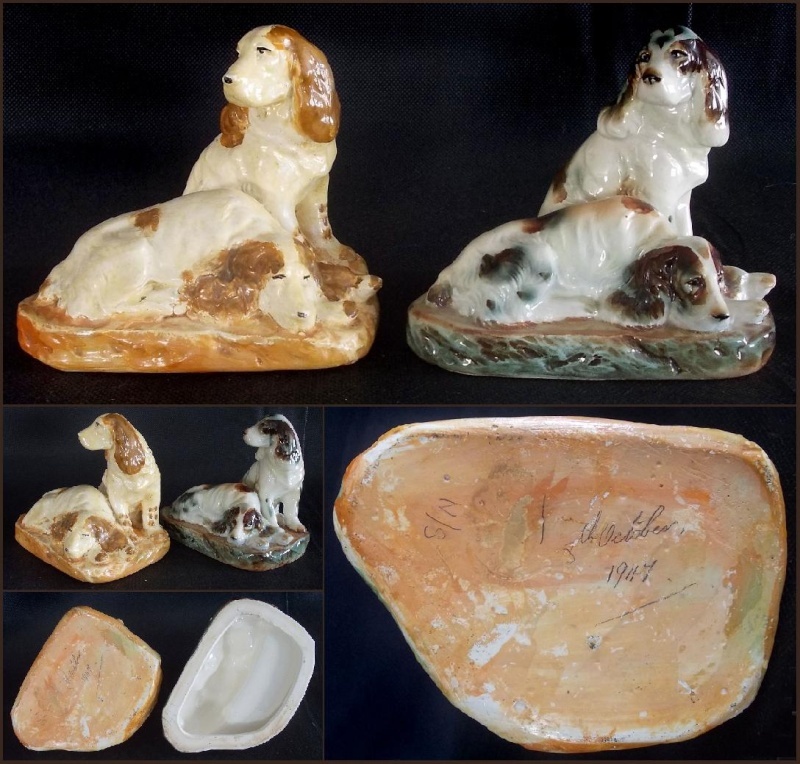 I have seen these dogs advertised as Crown Lynn on Trade Me a lot but the base looks different to the 172 dogs in the gallery which are made by Crown Lynn. 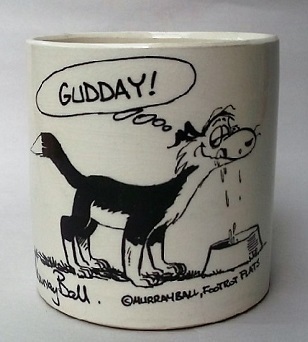 I've found a similar pair of dogs (green glazed base) recently and was wondering whether you had a definitive answer to these being CL? Hi Scout, I replied to your post at length earlier, but our internet connection dropped out before I hit send. In a nutshell, it is very difficult to work out who made things unless there is a number or a stamp or sticker on the piece. The variables are clay, weight, glaze, look and 'feel'. It is too hard to see these in a photo as one must hold the piece to check these things out. Maybe go to an Antique Dealer and ask their opinion is all I can say really. Cheers. Thank you for the prompt reply. There are no clear identifying marks on the piece, so will take this to someone who has experience to see if they can decipher this one.